Our cute Penguin Family can hide inside each other like a set Russian Matryoshka Nesting Dolls. Fun to open a..
Our cute Babuskas can hide inside each other, a pink set Russian Matryoshka Nesting Dolls. Fun to open and si..
Our cute Robot Family can hide inside each other like a set Russian Matryoshka Nesting Dolls. Fun to open and..
Our large Robots can hide inside each other like a modern set of Russian Matryoshka Nesting Dolls. With funny..
Our adorable green frog, Fred likes to flex his spotted body and do a funny dance! Just push his dark brown wooden base ..
Our adorable green and orange dragon, Dulcy likes to flex his wings and dance! Just push his grey castle wooden base to ..
Bolt Blue Robot Junior poses in hundreds of funny ways. 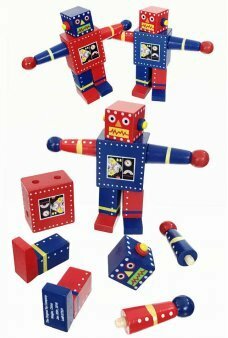 He’s a cute and small version of our large wooden posable robots.. 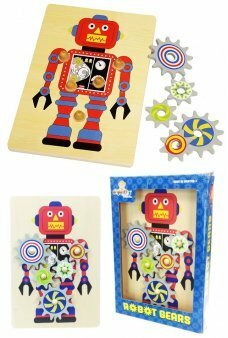 Build 2 Wooden Robots with our Build your own Robots Kit. 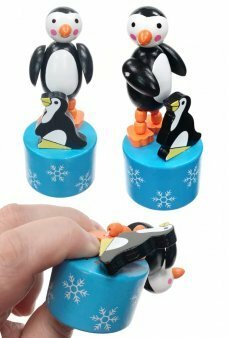 You get 2 complete red and blue painted wooden robots with rem..
Push the base of our cute Pete and Pip Penguins to make them dance! 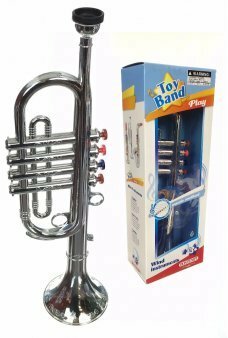 Our classic wooden push puppet is white and black wi..
Join the band with our shiny silver Trumpet Toy! Play music at once without practice. 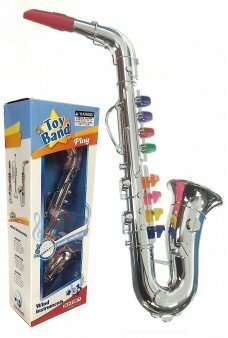 This attactive toy looks lik..
Join the band with our shiny silver Saxophone Toy! Play music at once without practice. 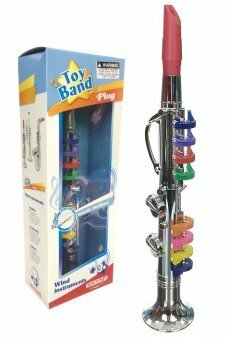 This attactive toy l..
Join the band with our shiny silver Clarinet Toy! Play music at once without practice. This attactive toy lo.. Put together this adorable robot puzzle by placing the 5 gear shapes. The retro robot has 5 rounded wooden pins to place..